Presenting the Greek viewpoint to the American public and securing U.S. government policies that are fair towards Greece has a long and tortuous history. At the time of the Greek War of Independence Thomas Jefferson wrote to his friend Adamantios Koraes, physician from Chios, patriot, and classical scholar, of his enthusiastic support for the “Greek Cause”. But even Jefferson, in retirement, proved unable to influence American foreign policy towards the establishment of the modern Greek state. John Quincy Adams, Secretary of State (1817-1825), remained focused on the Ottoman Empire. The American pro-Turkey stance has been essentially constant with one notable exception. The stellar Greek American achievement in seeking to influence American foreign policy regarding Greek interests was Eugene Rossides and his associates at the time convincing Congress to uphold U.S. law and impose an arms embargo on Turkey following the 1974 Turkish invasion and occupation of Cyprus. But big challenges continue festering unresolved, including Turkey’s occupation of part of Cyprus, Turkey’s violation of Greece’s maritime borders and airspace, Turkey’s challenging the Treaty of Lausanne, Turkey’s refusal to allow the reopening of the Chalki Theological Seminary, and the Former Yugoslav Republic of Macedonia (FYROM) not negotiating in good faith to resolve its name controversy. American policies have led to indifference and even inimical attitudes by the mass media and the public at large, chipping away at our nation’s Hellenic heritage, and further hindering efforts to influence official policy. Black Athena and extreme Afro-Centrist notions, the crass claims of the Skopje nationalists about Macedonia and Alexander the Great, the banalities of the former President of Turkey Turgut Ozal in his book La Turquie en Europe, and absurd inaccuracies in leading American newspapers (St Nicholas of Cappadocia was a “Turkish bishop”) have gained traction. Sadly Greek and Greek American responses have been muted and unsuccessful, while non-Greeks, such as the distinguished classicists Mary Lefkowitz and Stephen Miller have been in the forefront challenging such absurdities. At the 2016 Olympics opening ceremony in Brazil, when the FYROM team entered the stadium carrying the International Olympic Committee-sanctioned banner “Team FYROM,” the NBC sports commentators (which included Bob Costas, a Greek American) told the hundreds of millions of spectators from all over the world that it was the “Team of Macedonia.” Bob Costas remained silent. The recent financial difficulties of Greece and Cyprus have exacerbated a bad situation. The invective in the German press demonizing the whole Greek nation at times has been picked up by US media and some politicians. Greeks have become an easy target for stereotyping and ridicule in popular American television programs. Being Greek is not “cool” anymore. The Greek American community as a whole has been unable to stem the attacks and influence U.S. policy. This underperformance is puzzling given the amazing achievements (in politics, film, theater, music, literature, medicine, the sciences, major corporations, high finance and real estate) of the Greek Americans as individuals. Their financial and intellectual resources are more than sufficient to enable the community to significantly increase its ability to defend and advance Hellenic heritage and interests, including the interests of Greece and Cyprus. Fairness in U.S. policies would strengthen the two countries, a development very much in the interest of the USA which needs to have stable and thriving allies in that otherwise very troubled but geopolitically crucial region of the world. Greece and Cyprus, significantly weakened in the recent past by serious external and internal (some would say existential) threats, are in need of help from the Diaspora. The Greek Diaspora in the United States is uniquely qualified to play a key role on behalf of Hellenism at large and also of Greece and Cyprus in particular. Bold and far-reaching initiatives that go beyond good intentions, photo-opportunities and testimonials are needed, but they are very much within the capabilities of the Greek American community. This is not true given the minimal budget available or the incredibly small staff of AHI. All members of the US Diaspora–the Church, regional and professional organizations, university Modern Greek Studies programs, and individuals need to take concrete steps necessary to bring this about. A major first step involves a serious and systematic effort to identify and document the specific Greek American successful individuals in universities, the professions, the arts, finance and business, who can potentially contribute to specific pursuits. Such an undertaking would additionally be an inspiration by documenting the range and magnitude of the potential prowess of Greek Americans. One often hears Greek politicians speak glowingly about the Greek Diaspora, but do little than bemoan their inability to tap this resource. A second is to facilitate the creation of a “network of truth squads” that will monitor major mass media and opinion creators re misinformation about Greece, Cyprus and Hellenic affairs, and combat distortion and untruths by responding quickly and effectively. Such an effort should be built by taking advantage of the power of social media. Greek Americans as individuals and organizations have a responsibility to become better informed and involved in such an undertaking; and the many fraternal, regional and professional organizations should make timely and assertive interventions on behalf of truth and fairness part of their mission. Drawing on the reservoir of names of the highly successful Greek Americans in the various disciplines would allow effective responses. Finally, Greek Americans must establish a well-endowed professional think tank to deal with background and fundamental issues of importance to Hellenic interests. Such an institution should have the mission and the necessary resources to undertake on a sustained basis scholarly, in-depth research that can become, inter alia, the foundation of first-rate advocacy. There are many issues that need this kind of serious attention. Among these are the right of sea borders and application of the Law of the Seas, contraband and illegal trading of antiquities, unilateral abrogation of treaties, and venture capital for economic development based on innovative scientific research. The Greek American community has the intellectual resources and financial clout to undertake such an ambitious effort modeled after the highly successful think tanks now operating in the United States. Modern Greek studies in universities, classics, and the many other disciplines where Greeks have proven extraordinarily successful provide excellent bases to build upon. What is needed at this stage is the political decision along with the commitment of financial resources to proceed with such a project. 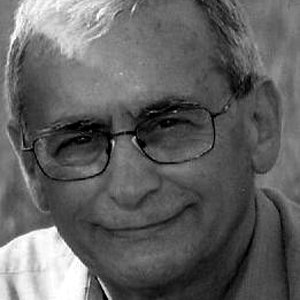 Leonidas Petrakis holds a PhD in Physical Chemistry from the University of California, Berkeley; has taught at various universities—in the US, France and Greece; was Department Chairman and Senior Scientist at Brookhaven National Laboratory; and worked in the private sector. He specialized in energy and environmental issues, and has authored, coauthored, or co-edited six books and more than one hundred and fifty scientific studies in peer-reviewed journals. Greek Americans must establish a well-endowed professional think tank to deal with background and fundamental issues of importance to Hellenic interests. Such an institution should have the mission and the necessary resources to undertake on a sustained basis scholarly, in-depth research that can become, inter alia, the foundation of first-rate advocacy.